Our Pyramid Lake guides have been issued a guide license from the Pyramid Lake Tribal Council. This is required of everyone who guides the waters of Pyramid Lake. 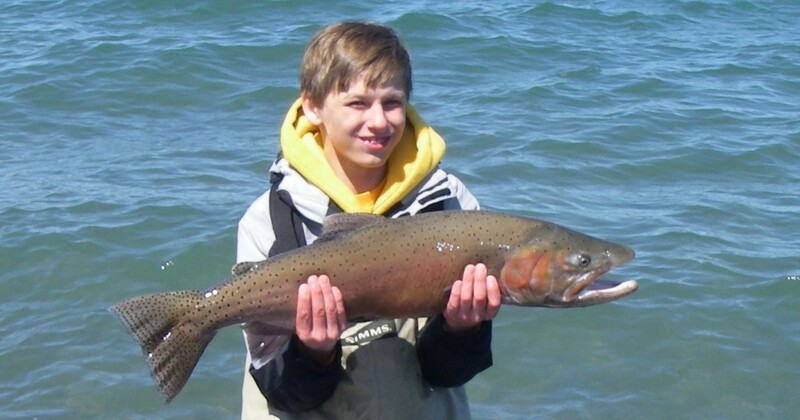 Pyramid Lake is well known for its outstanding fly fishing. Having the correct gear and knowing when and where to fish are important factors in successful fishing at Pyramid. For the most part, this is a wintertime and spring fishery. Being prepared for changes in weather and fishing conditions plays an important role in having a memorable day at the lake. 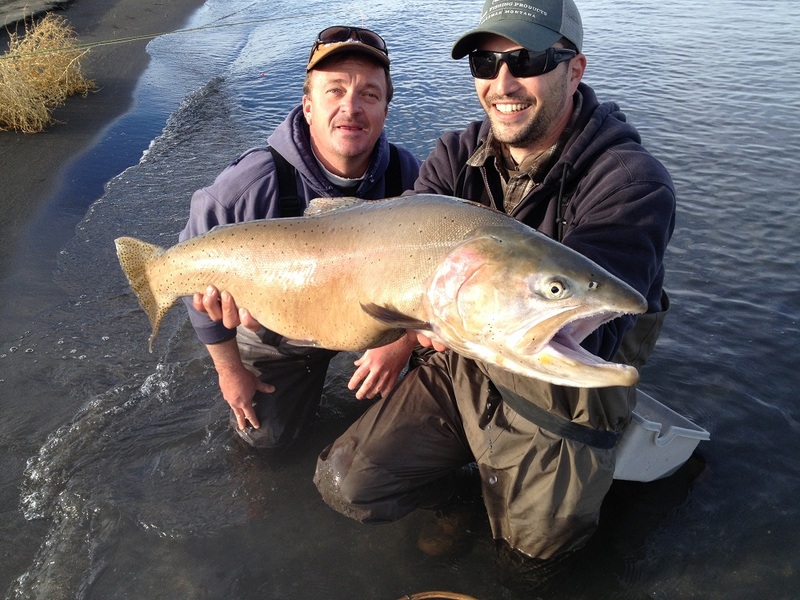 The season for fishing at Pyramid Lake is October 1st to June 30th. (Check tribal regulations for specific area closures during the season.) The lake is located on the Pyramid Lake Indian Reservation and requires tribal permits to fish, camp and boat. Fall – When the lake opens in October, the water is cooling down from the hot summer. The fish are starting to come into shallow water and chase the newly hatched tui-chub minnows and Perch frey. Most fish are still hanging out in deeper water and do not move into the shallows until later in the fall when water temps are much cooler. This is the time of year to fish small minnow patterns on beaches that have access to deeper water. Winter – By mid December the water has cooled down considerably. Until late February or early March water temps will remainin the low to mid 40’s. Fish can be found roaming in shallow water and can be caught on most of the beaches around the lake. Due to the low water temps the fish can be very lethargic. Slow to quick erratic retrieves with woolybuggers and popcorn beetles right on the bottom is a great method to take fish when the weather is cold. A shooting head is very beneficial in this situation. This is the time of year when many of the largest fish are caught but it is not for the faint of heart. It can be very cold on most winter days at Pyramid. Spring – As the days get longer and the weather starts to warm, fish start to cruise the lake shores in search of places to spawn. This is the time of year that the highest concentrations of fish are in shallow water and consequently the fishing is usually the best. It is not uncommon to see schools of 20 to 100 fish swimming in 2 to 5 feet of water. Although shooting heads with buggers and beetles are effective, this is the time of year when many anglers put away their sinking lines in lieu of a floating line, with an indicator and a nymph or midge pattern. The more skilled anglers will use a floating line with no indicator. “Floater no Cator”.